Edward Snowden says that the NSA is conducting mass surveillance on New Zealand Internet users. He witnessed the snooping personally while he was working with the NSA as an intelligence contractor. Snowden says that he was able to very easily get to the details of many New Zealanders. He was able to access social media accounts, and see emails and text as well as web searches. 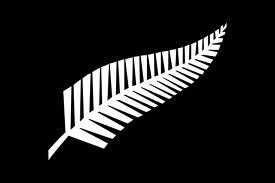 The New Zealand government made a public statement that they were not involved in any mass surveillance activities. But Snowden is an eyewitness to this invasive spying conducted between 2012 and 2013. It was carried out by the Government Communications Security Bureau, the New Zealand spy agency. To back up his personal testimony, Snowden showed documents that detailed the New Zealand government’s plan to take advantage of one Internet surveillance law. That law was put in place to clarify legalities that allowed the GCSB to function smoothly, according to New Zealand Prime Minister John Key. But the law was not what it seemed to be. Prime Minister Key misled the public after illegal domestic surveillance in New Zealand led to the raid on Megaupload founder Kim Dotcom. Snowden told those present at a video conference at the Auckland Town Hall that Key lied. Key is head of GCSB operations and knows that the agency conducts mass surveillance and algorithmic analysis on the personal phone, radio, satellite, email and other Internet communications of New Zealand residents. The program is called Speargun and used the new GCSB Act to legitimize the installation of the needed secret cable access equipment to make the program operational. Snowden also said that XKeyscore software is being used, and that any communication cables being monitored are probably not easily detected by service providers. This means that the NSA also gets access to all the data collected by the GCSB via XKeyscore.